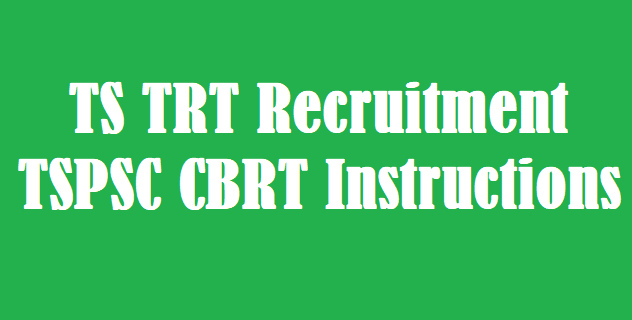 TS TRT Recruitment 2018 - TSPSC CBRT Instructions, TS TRT 2018 Hall Tickets, Telangana TRT Hall Tickets download, Teacher Recruitment Test 2017, TSPSC has released TRT Halltickets for Telangana Teacher recruitment test going to be held on February 24th. Government of Telangana is all set to conduct TS TRT Exam from 24th Feb 2018 to 4th March 2018 and TS TRT Halltickets can be downloaded from 19th february 2018. Department of School Education, Government of Telangana checked up for the exam and all the required preparations are completed by the board.